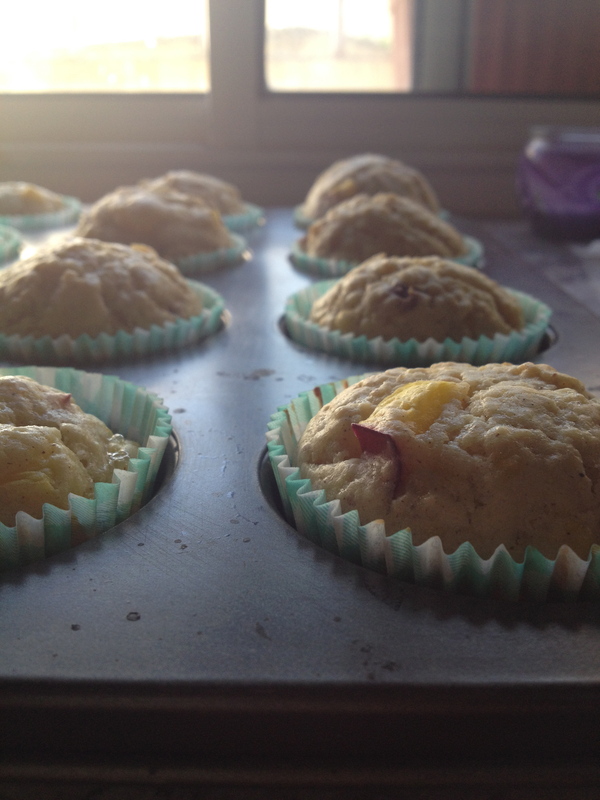 Muffins…. it’s what you bake when you have the urge but aren’t committed to 2 hours in the kitchen. One bowl, minimal effort, and happy little individual portioned bites in less than an hour. It’s my go to treat. Muffins are the acceptable way to eat cake for breakfast. 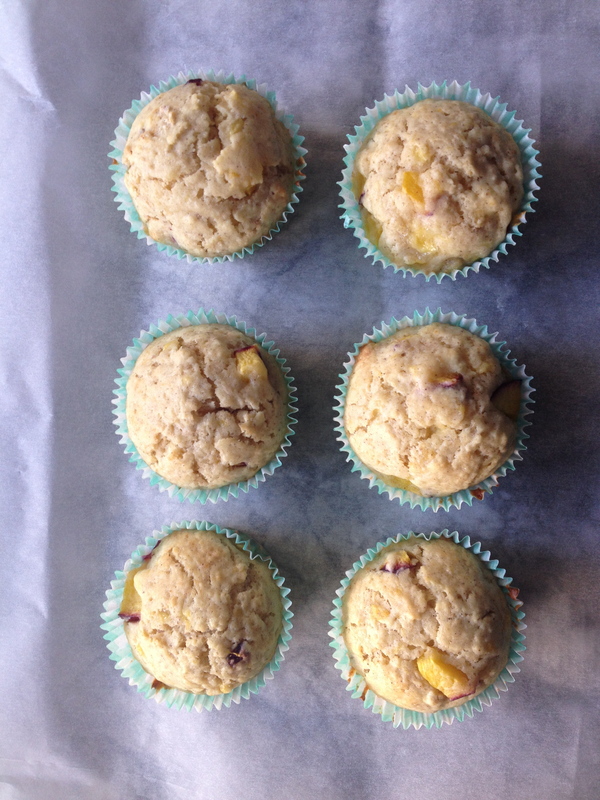 We like to pretend it’s a totally different baked good, but let’s face it- muffins are cake without icing. It’s true and we all know it. Today was one of those days where I wanted something freshly baked, but didn’t feel like 2 hours in the kitchen. I’ve had my eye on some homemade donuts recently. But real, yeasted, fried donuts. I have high hopes that next weekend will see those. The markets sells not so pretty bananas for a dollar or less a kilo and after spotting some especially ugly ones for less than a dollar I decided banana bread it was. But banana bread can be pretty boring. Peaches and nectarines are exploding everywhere in the markets. They are so amazing right now. I also used yogurt and butter in place of oil. It just seemed the thing to do. I used coconut yogurt, but since apparently coconut yogurt is ridiculously hard to find in the US, use whichever kind your heart desires. The flavor doesn’t come through especially strong, but feel free to get creative. Banana flavored? Strawberry flavored? Vanilla? Blueberry? The options are endless. Just make sure the flavor goes well with banana, and whatever fruit you decide to mix in. Monday morning breakfast will be extra snazzy this week. Preheat your over to 190 Celsius, 350 Fahrenheit. Line your muffin tin with muffin liners. In a medium bowl whisk together the yogurt, banana, eggs, and butter. Sift the flour, baking powder, cinnamon, sugar, and salt into the bowl with the yogurt/banana mixture. Stir the mixture until just combined. Fold in nectarine pieces until just incorporated. 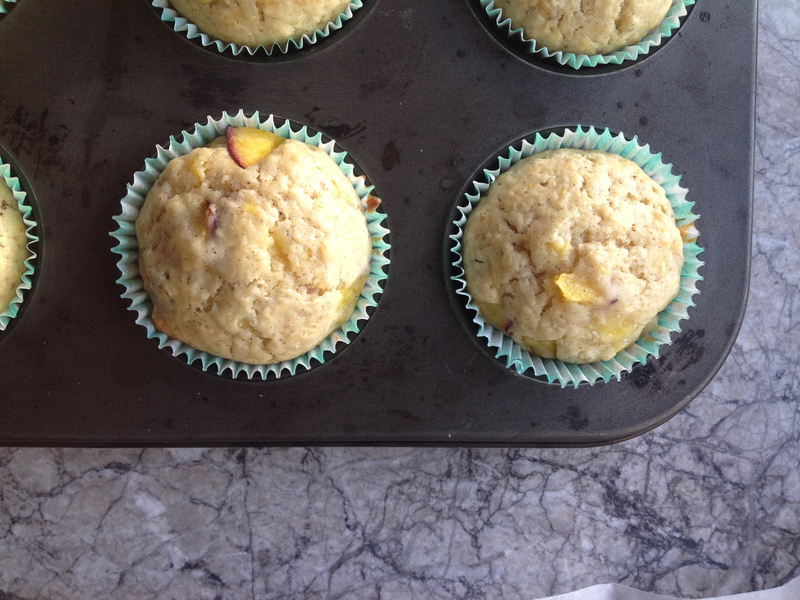 Pour 1/4-1/3 cup batter into each muffin cup and bake for 13-16 minutes until done. When a toothpick comes out clean, they are done.